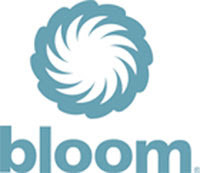 Coupon Mama: Good picks from Wayne at BLOOM for this week! Good picks from Wayne at BLOOM for this week! Wayne did his thing this week by going page by page...so if you have the BLOOM paper or shop BLOOM it will be very helpful to you. Page 5 - Chips ahoy are BOGO! Chips Ahoy use - $1.00/2 Nabisco Cookies or Crackers 4-28oz. Sunshine Cheezit Crackers are Bogo! Lay's Chips are BOGO - USE - $2.00/1 Save $2 on (1) Lay's, 6 1/2 oz or larger bag WYB (1) Tearpad or $1.00/1 WYB any combination (2) Lays, and/or Fritos Dip Tearpad!